You can’t stay competitive in today’s marketplace without having a viable website. This is especially true in contracting business where a website will most likely be a potential customer’s first impression of your work. That work should be featured prominently with “before and after” photos. Every job you go on should be memorialized with photos. If you can take them, the make sure your crew does. The best advertisement you have for your contracting business will be your previous clients. Any one of those customers who has been totally satisfied with your work should be asked to provide a referral. If you can get them to post an online review, then that is even better. Make sure you leave them with a few extra business cards for them to give to their friends. The best thing you can do to expand your contracting business is to keep your promises. That means bringing a project in on time and on budget. Often there are circumstances out of your control that prevent you from honoring those promises. This is why you should build in a contingency that covers funding and calendar dates. If you can sponsor a local charity or sporting team, then you’ll be getting the name of your contracting business out into the community. Not only does it help those organizations but it creates a positive image for your company. Best of all, it’s very little effort on your part. 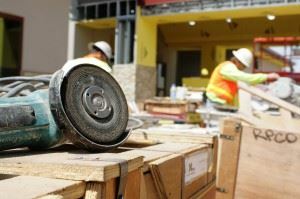 Homeowners are already going to be disrupted with the remodeling project. That comes with the territory. But you can minimize their stress by making sure the job site is always clean. Don’t create a debris pile in the backyard or side of the house. Instead, call on Junk King Hudson Valley for a fast debris cleanup. Junk King Hudson Valley has very capable workers and a fleet of trucks that will be able to handle any type of construction waste removal. Junk King Hudson Valley is the perfect cleanup partner for your contracting business. This entry was posted in Hudson Valley Junk Removal and tagged contracting business, debris, Junk King Hudson Valley, remodel on July 25, 2017 by Junk King. Last updated July 25, 2017 .